Professionals who educate or deliver services to families endorse the effectiveness of family-focused approaches. And public programs and policies supporting strong family relationships provide a good return on taxpayer investment. One effort that has shown positive results is the “Strengthening Families Program 10 to 14,” says Duncan. According to Duncan, UW-Extension trains local family professionals to conduct the “Strengthening Families” program with Wisconsin families. What’s more, cost-benefit analysis shows that for every $1 invested in the program, nearly $10 is saved in future costs such as drug treatment, lost future earnings, and time in the juvenile justice system. Small says that UW-Extension programs in Wisconsin are designed to strengthen families through educational programs that are tested and based on research. To learn more about ways that UW-Extension is working for Wisconsin families, contact your local UW-Extension office. Many vegetables harvested from the home garden are best preserved by freezing, not canning, according to University of Wisconsin-Extension food science specialist Barbara Ingham. 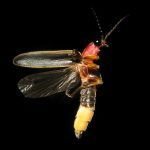 PJ Liesch, UW-Extension Entomologist, talks about fireflies in the state of Wisconsin.